Natalya Cho is the lucky winner of the JU Raffle this week. 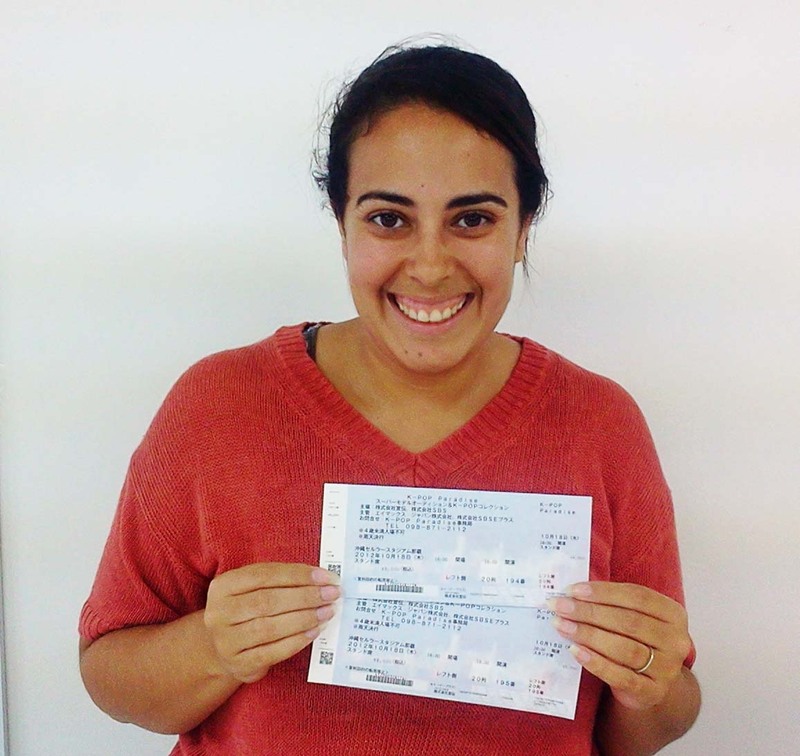 She won a pair of tickets to the K-Pop Audition event on Oct. 17 and 18 at Okinawa Cellular Stadium in Onoyama Park, Naha. 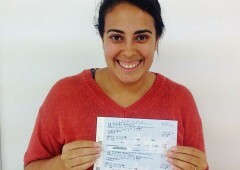 Natalya, who’s from Spokane, Washington, has been on Okinawa only two months, and is looking forward for calling the island home for the next five years. And although she has not had much time to get around yet, she says that her first impressions of the island are entirely positive. Natalya says that she has already had a taste of teppanyaki steaks and Okinawa soba, and finds both dishes very good. “My life here seems to be very happy, and the local food is delicious,” she says. Other points that she likes here are the ocean and the many beaches around the island. She says that she is very interested in the local culture and events. But she is also interested in visiting other regions in Japan, including Kyoto, Osaka and Hokkaido. To participate in Japan Update weekly raffle, just go to www.japanupdate.com, and click on “Raffle Entry” where you can see what’s the prize for the currently on-going raffle. The just sign up, and good luck!